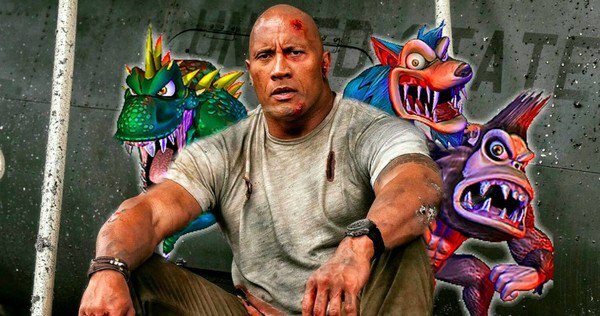 director Brad Peyton, assisted by no less than four screenplay writers, has created a bland and noisy movie that is utterly lacking in personality.Rampage veers between exhausting action sequences and eye-glazing exposition. Characters says lines like – get me the neuromuscular synapse activity. I wanted to interrupt with – get me a good time. But the writing is so lame that even Johnson’s Herculean charisma can’t make this compelling. Despite the pastiche form, director Brad Peyton still manages to make this mindless-action fiesta a fun ride. His film isn’t the smartest movie ever made, but it does serve up some cool fan boys moments. The camaraderie between the gorilla and Dwayne Johnson is cool brings in an element of humour to this otherwise generic end-of-the-world movie. This one’s definitely worth a one-time watch. This is Johnson’s third outing with director Brad Peyton, after Journey 2: The Mysterious Island and San Andreas, so you know what to expect. The action choreography is pedestrian at best. There are token references to cruelty to animals by way of genetic experimentation. With the exception of the charismatic Johnson, the human characters are less expressive than the giant ape (a motion-capture performance by Jason Liles). Primatologist Davis Okoye, a man who is the head of an anti-poaching unit, finds out his beloved albino silverback gorilla friend George has been infected with a mysterious experiment that turns him into a giant, aggressive beast. To make matters worse, a grey wolf named Ralph and an American crocodile named Lizzie have been infected too. With the help of a discredited genetic engineer named Dr. Kate Caldwell, he must save George, stop Ralph and Lizzie from destroying most of America, and find out who mutated the animals.